Whether you have your eye on a stretch of Zealand’s coast or a little hidden lake or river for your next fishing trip, you should be aware of the rules and regulations for fishing. First of all, if you are between 18 and 65, you need a fishing permit – whether you plan to fish in fresh water or salt water. You can buy a fishing permit at the post office, at various tourist offices, camping sites and fishing stores, and they can also be ordered online at www.fisketegn.dk. The fishing permit is good for one year and costs 185 Danish crowns. As a tourist you can also buy a day permit for 40 crowns or a week permit for 130 crowns. The revenue goes to the preservation of fish and waterways and the release of hatchlings. In addition of the fishing permit, which gives you the general right to fish, you may need to buy a day permit or annual permit for certain waters. With the fishing permit you have a right to fish on the coasts and in the fjords, but in certain rivers and lakes that are owned by clubs, you may have to purchase a day permit. This is the case, for example, if you want to fish in St. Vejle Å, Køge Å and Tryggevælde Å as well as in Tissø, Kattinge Sø and Tuel Sø, just to name a few of these rivers and lakes. So always remember to check the rules for the individual waters before you begin to fish. And remember as well the general traffic and landowner rules. These can be found on the Ministry of the Environment’s web site. 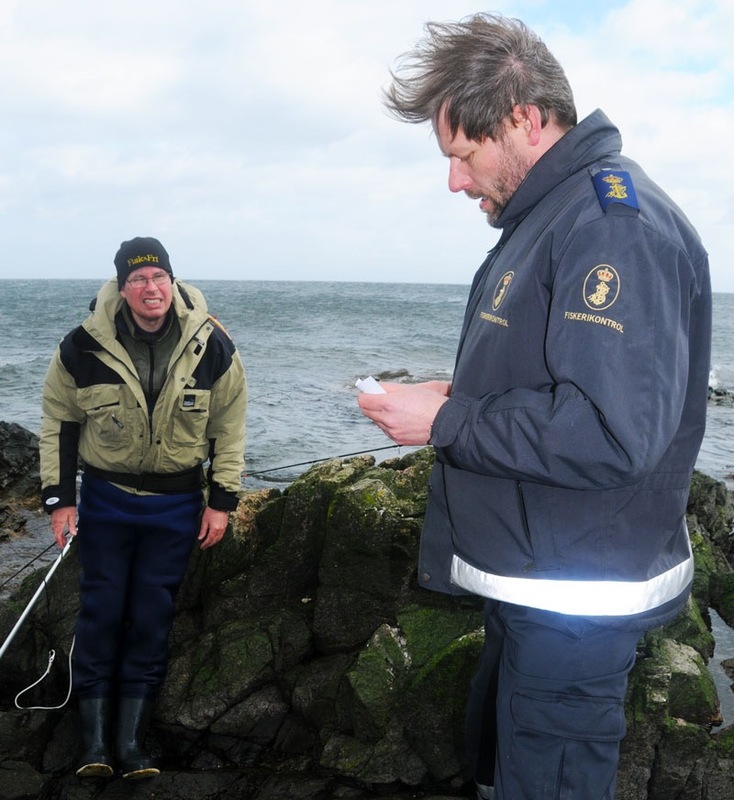 Along the open coasts and in the fjords you should be particularly aware that fishing near the mouths of rivers and even small streams can be governed by conservation regulations designating them as protected zones. These regulations are to ensure that the sea trout have free access to their spawning areas, and for most of the larger rivers these protected zones are in effect year round within a radius of 500 meters from the mouth of the river. For smaller rivers there are typically smaller triangulated conservation zones of which a few are not protected year round. If you have plans to fish close to the mouth of a river, you should check ahead of time whether the river is protected by a conservation regulation. You can do this on the AgriFish Agency’s website. Before you begin to fish, you should be sure that you adhere to current conservation dates. Some types of fish can be caught year round, whereas others are protected by specific conservation dates to ensure that the fish can spawn most successfully. Here are the official conservation dates that are to be respected no matter where you fish. See the complete list of conservation dates on the Danish Ministry of the Environment’s website. Several sport fishing clubs have designated additional conservation dates in their waters. This information is usually printed on the day permit you have purchased. In addition to the April 1st – May 15th conservation dates, Southern Zealand has introduced a special law prohibiting the killing of fish caught in brackish water. Put differently, this means that only Catch & Release fishing is allowed, and that fishing is prohibited from April 1st until May 15th. Moreover, the use of commercial nets is prohibited from February 1st until May 31st. The Southern Zealand brackish waters have been chosen for special care and conservation efforts because of their uniqueness and vulnerability. The special laws introduced here will help preserve them for the future. In order to restore the cod stocks, new restrictions apply per January 1st 2017. It is now prohibited for recreational and hobby net fishermen to harvest more than 5 cod per day when fishing the western region of the Baltic Sea. The area covers all the waters surrounding Fyn, the eastern part of Southern Jutland, Eastern Jutland and most of Zealand and Bornholm. 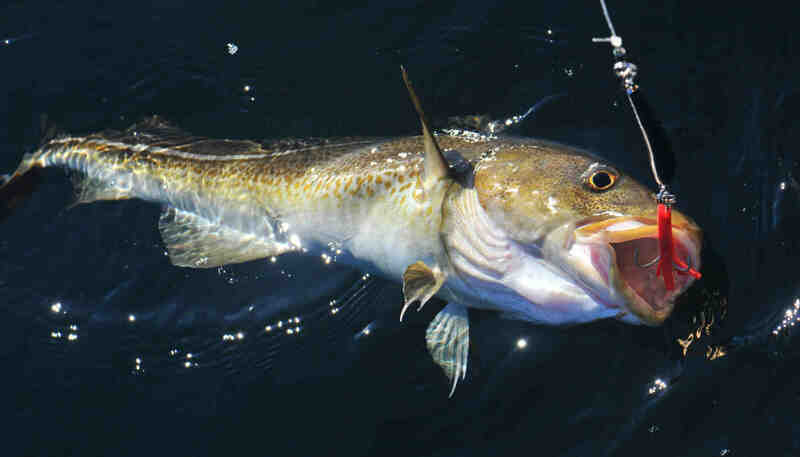 The rules means that as a recreational fisherman or hobby net fisherman, you’re only allowed to kill five cod per day. During the period from February 1st until March 31st, you’re only allowed to kill three cod per day. The rules also apply if you’re fishing from a commercial fishing vessel. The new restrictions were approved on October 10th 2016 on a joint meeting where commercial cod fishing in the western Baltic Sea was reduced with 56%. Furthermore, a conservation period lasting from February 1st until March 31st was introduced, effectively banning commercial cod fishing during this period. Before you take a fish home, you should be sure that the fish measures in accordance with the minimum measurements. Not all fish are covered by minimum measurements, but the most popular sport fish are. Here you can see the minimum measurements for the most common sport fish on Zealand, and the complete list can be found on the Danish AgriFish Agency’s web site. * Remember that individual sport fishing clubs can have specific regulations for their own fishing waters. * Also keep in mind the general rules for bahviour and conduct as a fisherman.